Let’s start off by congratulating Team Kiri (Sparklers) for a great weekend — Select one day and Best of Opposite the next. Kiri will be in Best of Breed at the Specialty — she will represent the family well. Sparkle’s potential pregnancy has changed our Specialty plans — that and Dear Husband’s aversion to ticks. Sparkle will stay home with Dear Husband, who gallantly agreed to avoid ticks by staying with her. Since it will just be me traveling to Minnesota, Daisy will also stay at home — she was only entered in one event and I do not want her sitting in the cabin by herself while I am out and about with the other two dogs. 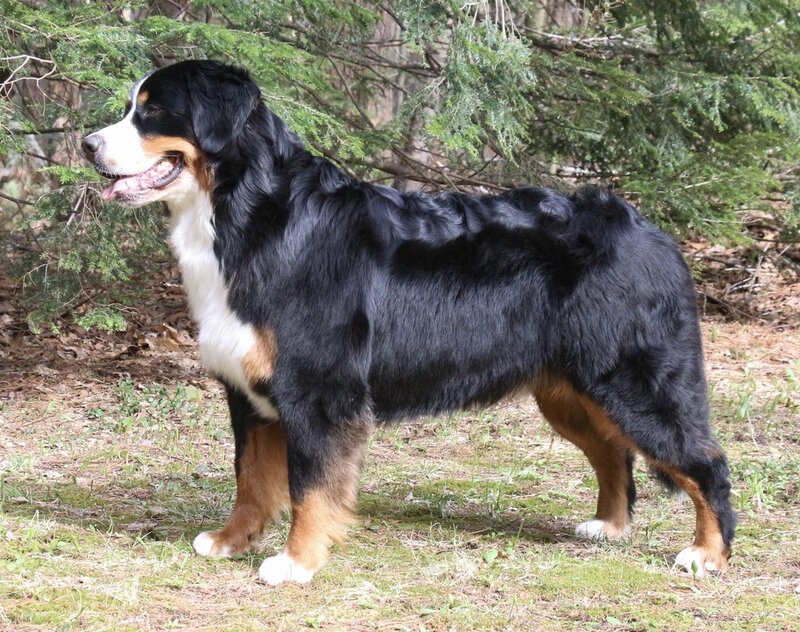 Note that in addition to my own dogs, I have included Sundance on the schedule — that is Suzanne’s lovely Tag son who got a Reserve Best in Show over the weekend! 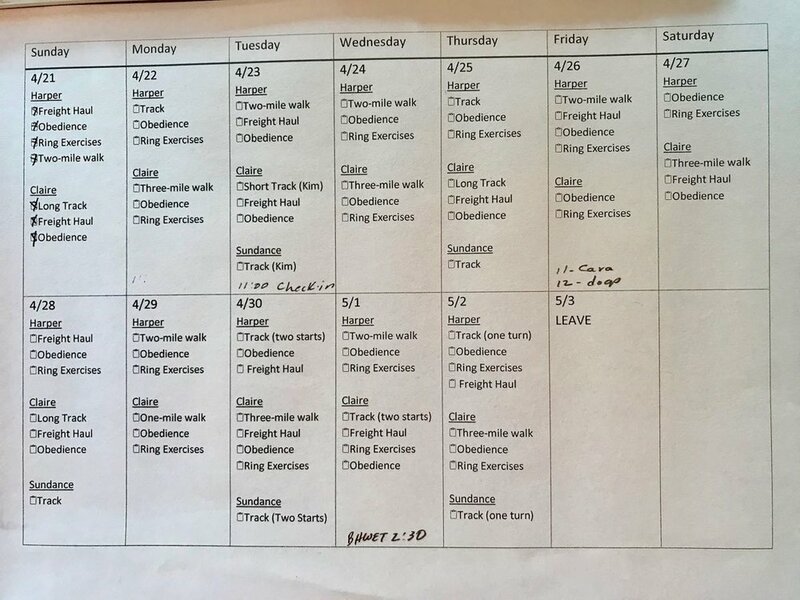 This is Suzanne’s first foray into tracking and Sundance drew a track at the Specialty — I am so excited for them and am committed to helping them be as ready as possible for that day. Schedules help me stay focused and clear about what needs to be done — and I love checking boxes. Have a great Monday! I have to get started on my day so I can check off all of the little boxes (actually, they are tiny clipboards) for today. Congratulations to Team Kiri (Sparkler) for going Select and Best of Breed Owner-Handled, and then getting an Owner-Handled Group Three yesterday at the big show in Massachusetts! In other news, another Sparkler (Zimmer) received an OFA rating of Good Hips and Normal Elbows — yippee!!!! The Sparklers continue their sparkly march into the world. Inquiring Minds Want to Know: Does TCI Carry an Infection Risk?